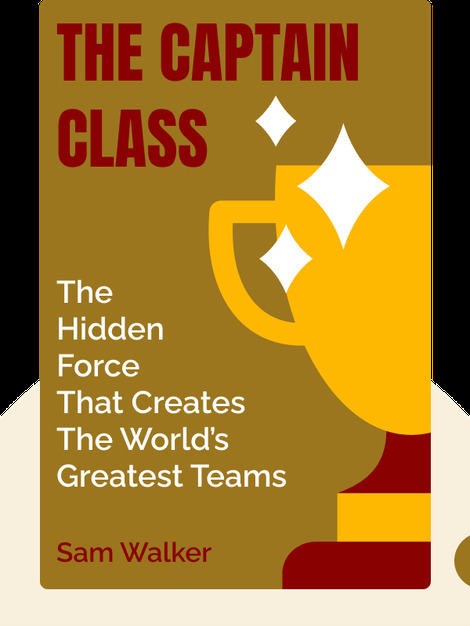 The Captain Class (2017) gets to the bottom of what it truly means to be the captain of a winning sports team. You might think all it takes to make a great team is to bring together the best possible players. This is just one of the many misperceptions people have about team sports. 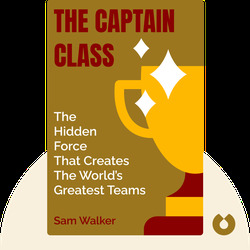 Walker points out that the best teams have captains who possess specific characteristics that enable them to lead their teams to victory. Sam Walker is an award-winning investigative reporter and deputy editor for the Wall Street Journal, as well as the founder of the newspaper’s daily sports coverage. His other books include Fantasyland, a fascinating journey into the heart of fantasy baseball competitions.